Matthias is an independent internet entrepreneur with experience in TV, radio and digital media. He began building his multimedia company Goldkanal GmbH in 2005, working on internet radio formats with a focus on music and culture. Among the company’s projects are the music program NEUE HELDEN, the GRAVIS-concert series "Live-Tunes", the music platform Tempodome and the podcast of the Hamburg Cultural Authority. 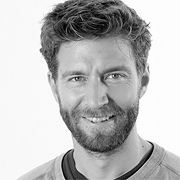 He began his professional career as a representative of the publishing company Michael Zäh Verlag and worked at the Staatstheater Dresden in the Directors Department, before beginning work on the media show “NEUE HELDEN” and building his own company. Matthias has a law degree from the Albert-Ludwig-Universität in Freiburg.